Cable repairs as well as track replacement are a few things we specialize in. Get your spare parts ready in no time with Garage Door Repair Union City. We keep an extensive inventory of many spare parts that are commonly used in fixing garage door units. Do not hesitate to call us should you need immediate replacement of your worn out garage door parts. 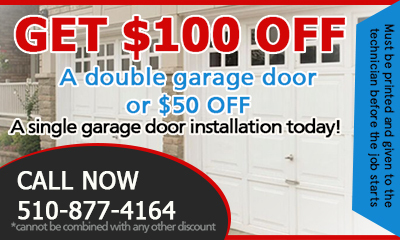 Garage Door Repair Union City is always ready to help clients in the whole California who are in need of immediate assistance because of their broken garage door parts. With our advanced equipments, our skilled servicemen can easily repair and replace any damaged parts for a stress-free experience. Call us today for a complimentary assessment.